Left to right: J.C. Powell, Tommy Harper, Robert J. Begley, Annette Ohlmann, craig Cox, Bonnie Gray, Rodney Gross, John Keith, Hallie Shouse, J.W. Phelps. 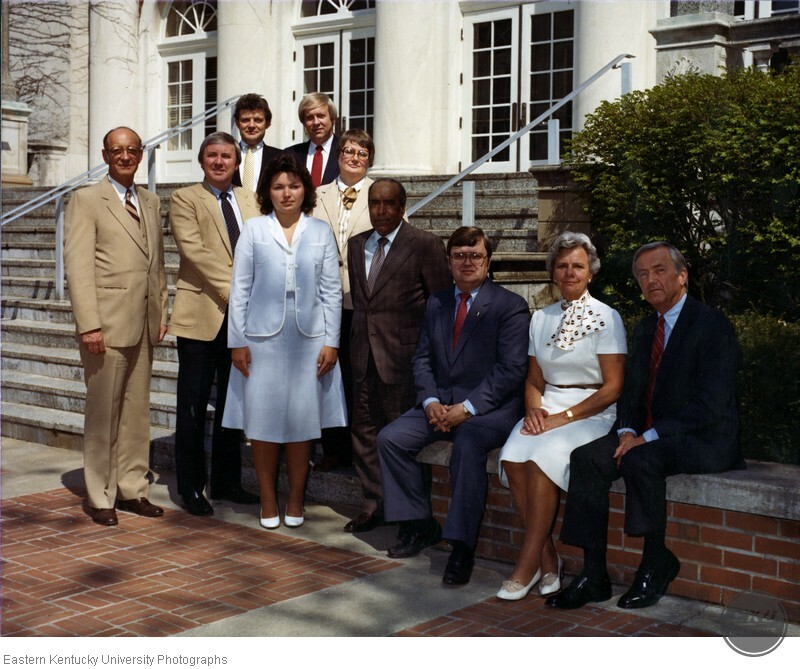 “Eastern Board of Regents,” Digital Collections, accessed April 18, 2019, https://digitalcollections.eku.edu/items/show/33310.